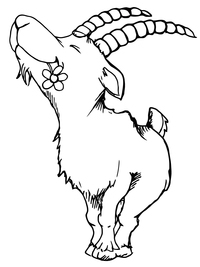 Goats should be kept in clean pens free of dampness, drafts, and pests such as biting flies and rodents. Please take into account dwarfs goats’ small size and fence accordingly. My personal recommendation is four-foot high 2×4 no climb woven wire fence. Goats are extremely intelligent and can keep you on your toes when trying to keep a gate shut, so plan accordingly. If you only have a few goats, a large doghouse or two can be adequate shelter for them. These adorable little ones will let you know just how spoiled they like to be as well. They will tell you that they do not like it too hot or cold, too windy, and God forbid you let a single raindrop fall upon them!